Home » FAQ » How do you know when your car battery is about to die? How do you know when your car battery is about to die? Keeping on top of your car battery’s health so you can get a replacement before it dies and leaves you stranded in your garage or a parking lot can save you a lot of trouble. Find the top 3 signs that that signal that it may be time for a new car battery below. If your engine is consistently taking a few extra seconds to turn over and it isn’t the middle of winter, that could be a sure-fire sign that your battery is running out of juice. While this can also happen due to other vehicle issues, your best bet is to head to your local service center for a battery inspection before it’s too late. 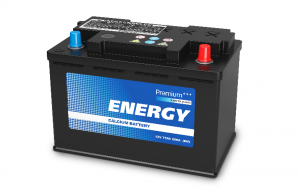 In general, the average lifespan for a vehicle battery is about three years. While hitting the three-year mark doesn’t automatically mean that you are due for a replacement, it is a good idea to start getting regular battery inspections so you can keep on top of your battery’s health. We recommend folding the service into your regular oil change appointment, so you aren’t making any extra trips to your service center. Sometimes, when batteries age they show signs of wear and tear including rusting, corrosion, and swelling. If you notice that your battery is bulging more than usual or is covered in rust or debris, it’s time to get your vehicle into a service center. It’s also important to remember that if your battery does die and you get a jump from a friend that you need to drive your vehicle for at least 20 minutes to charge the battery or it’s likely you will be in the same situation when you turn your car off. What are common dashboard warning lights and what do they mean? How long can I drive my car on empty? This entry was posted on Monday, December 31st, 2018 at 2:53 pm	and is filed under FAQ. You can follow any responses to this entry through the RSS 2.0 feed. You can skip to the end and leave a response. Pinging is currently not allowed. What car color shows the least amount of dirt? Where can I find kid-friendly Easter activities in the Houston area?